The award, presented Tuesday at Press Ganey's 2013 National Client Conference in Orlando, Fla., recognizes top-performing facilities that consistently achieved the 95th percentile of performance in patient satisfaction. Fewer than five percent of all Press Ganey clients reach this threshold and consistently maintain it for the one-year reporting period. 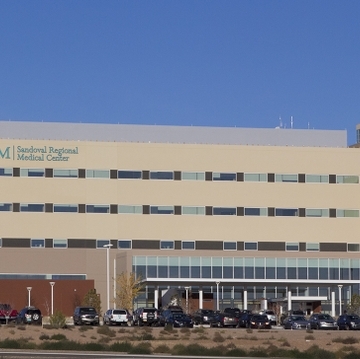 The award from Press Ganey, the industry's leader in measuring, understanding and improving the patient experience, is a milestone for SRMC, where patient safety and quality of care is paramount, said Dr. Paul B. Roth, UNM's Chancellor for Health Sciences. “Our physicians, nurses and staff work hard every day to ensure that patients are treated courteously and compassionately,” Roth said. “It is very gratifying to see their efforts recognized with this prestigious award. Those values included personal integrity, a commitment to teamwork and a passion for excellence, McKernan said. “SRMC established patient satisfaction as a core value, and they achieved this in their first year of operations,” he said. 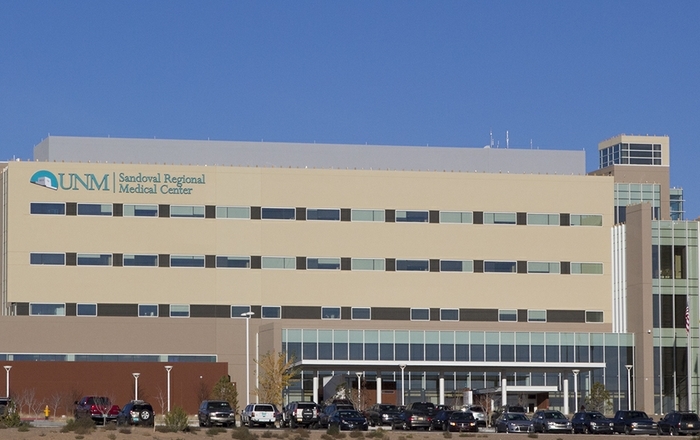 SRMC opened in July 2012 with 72 in-patient beds in Rio Rancho, one of the fastest growing communities in New Mexico. It provides state-of-the-art mammography, MRI and CT-scanning technology, while offering special expertise in orthopedic and bariatric surgery. Press Ganey, founded in 1985, partners with more than 10,000 health care facilities, including about 5,000 U.S. hospitals, to measure and improve patient experience. It regularly surveys hospital patients on scores of measures, ranging from their satisfaction with the admission and discharge process to the quality of the rooms and food and their interactions with doctors, nurses and staff.